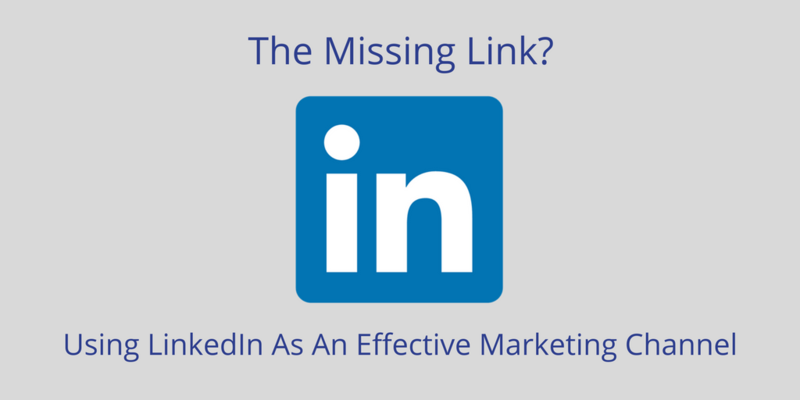 Part 1 of this blog series explored the effective marketing tactics that businesses can start utilising within LinkedIn to market their business more effectively for free. This part explores the paid advertising tactics that the platform currently has to offer, and why you might want to consider putting at least some of your marketing budget into these channels. Whilst free marketing might always be the more desirable option to anyone in charge of a marketing budget, the problem with organic tactics is that they’re much harder to scale, and the reach is somewhat limited. You may have some wonderful content that you are posting, but unless you have lots of connections on the platform engaging with it, it’s not going to be seen beyond your existing network. In addition, you can’t specifically select who will see those posts from your connections. So if you have different personas and segments that your content is designed for, you cannot choose to only put that content out to them. LinkedIn has come a long way over the past few years. Having launched in 2003, they’ve turned the platform from a simple social channel that was designed to allow people to connect with past and present colleagues, into somewhat of a juggernaut of a platform. Today, LinkedIn has over 414 million members who now actively use it on a daily basis to connect with a much larger network of professionals beyond just their colleagues. The platform is now also used as a source of industry news and advice, a place to obtain credible recommendations and as a tool for shaping their ongoing career development. Where the value of the platform has recently been quantified with Microsoft happily paying for a hefty $26.2 billion last year for the acquisition of the network, many businesses are still unaware of the potential value that LinkedIn could be bringing to their own business by simply utilising some of the platform’s many marketing opportunities. This two part blog showcases some of the ways LinkedIn can be used to market your business and shares some of our agency best practice tips for doing this successfully. This week we are starting with the opportunities that don’t require any monetary investment – the organic marketing tactics. Online advertisers complaining about change. On 14th April 2014, LinkedIn are retiring the Products & Services tab from all Company Pages, forcing those using the popular social media site to share content about their product and services via company updates or through showcase pages. Showcase pages have been recently introduced as a new method of displaying information about products and services, but with greater vibrancy and definition than before. Should you even be using it?